President Trump’s nominee for the Supreme Court, Judge Brett Kavanaugh, is a Second Amendment extremist and threatens decades of work strengthening Maryland’s gun laws. 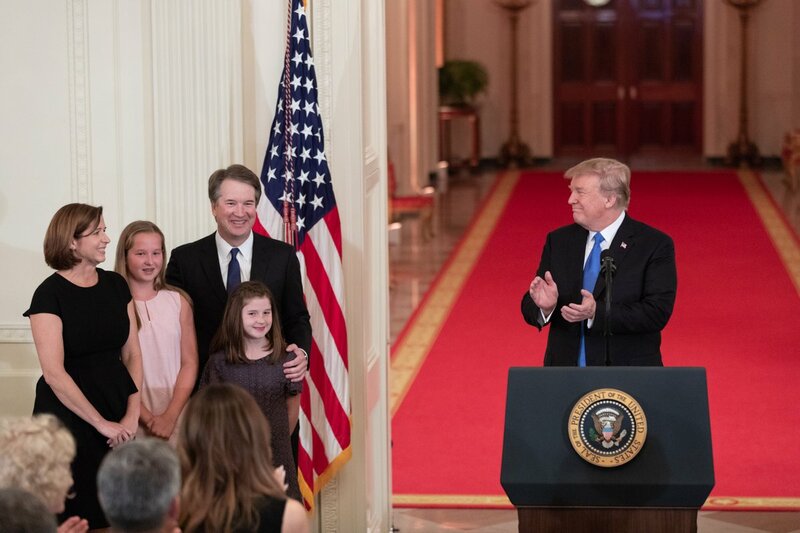 What do we know about Judge Kavanaugh’s views on gun laws? Judge Kavanaugh believes assault weapon bans, like the one passed in Maryland, are unconstitutional… a position far outside the mainstream of other conservative judges. Judge Kavanaugh believes laws that require handgun registration – like Maryland’s – is unconstitutional. Judge Kavanaugh does not believe that public safety justifies gun safety laws. This could lead to striking down laws that restrict the civilian use of dangerous, military-style weapons used in mass shootings. Judge Kavanaugh believes that strong standards regarding concealed carry laws are unconstitutional. Please don’t let the voice of one extremist destroy Maryland’s strong laws. Call Senator Cardin, Senator Van Hollen, and your Congressperson. Please demand they do everything in their power to protect our laws in Maryland by fighting the confirmation of Justice Kavanaugh. #1: Please join us for the Freedom Walk and Community Cookout this Saturday in Baltimore. The day will begin with a Freedom Walk from 8 am – 10 am, a balloon release to honor the individuals murdered in Baltimore at 10:30 am, and a community cookout from 11:30 am – 4 pm. Please click here to learn more about the event! #2: On July 21st, students from Great Mills High School will be joined by other students from across Maryland to rally against gun violence. At the Lawyers Mall in Annapolis, students and others will demand action. They (and we) are fed up with school shootings and with Governor Hogan’s lack of transparency regarding his NRA survey results. He has also refused to meet with Great Mills High School Students. Learn more here. #3: The weekend of August 3-5 is the Baltimore Ceasefire Anniversary Weekend. There are planning meetings and events all over the city. Check out their calendar to find a way to get involved! We hope you will speak out… and that you can make it to one or more of these upcoming events!